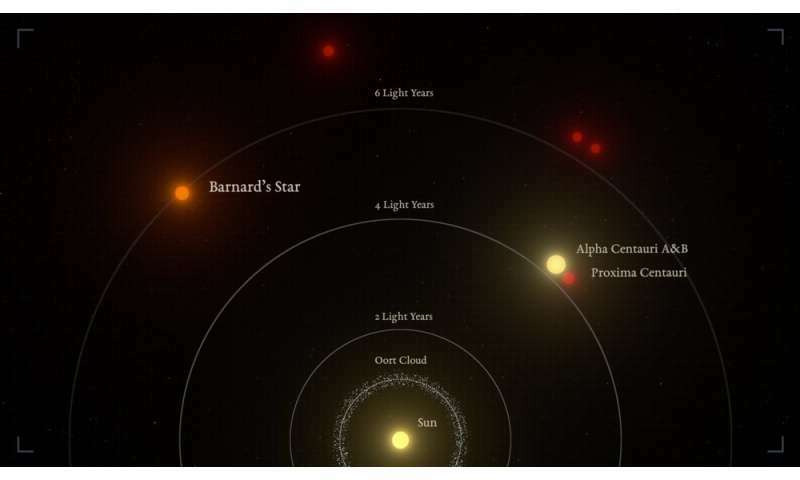 The potential discovery of a planet orbiting Barnard's Star – the second closest stellar system to the sun – was announced by researchers today in Nature. This discovery pushes the bounds of what we can do with our best current astronomical instrumentation, so the authors are understandably cautious in claiming a "planet candidate", rather than a confirmed discovery. Shining 16 times too faintly to see with the unaided eye, Barnard's Star is an ancient red dwarf – significantly older than the sun. Aside from the Alpha Centauri system, it is the closest star to the Solar system. Barnard's Star's biggest claim to fame is the rate at which it is tearing across the night sky. It moves so rapidly against the background stars that it would cross the diameter of the full Moon in a little over 100 years. In the middle of the last century, astronomer Peter van de Kamp was convinced Barnard's star was accompanied by two Jupiter-mass planets. Over several decades, starting in the late 1930s, he studied the star, taking myriad images, and observing it moving against the background stars. Barnard’s Star is the fastest moving star in our night sky. Astronomer’s call such movement ‘proper motion’. Rather than moving in a straight line, his observations suggested Barnard's Star was wobbling as it moved, rocking back and forth as though pulled by unseen companions. His data invoked the presence of two planets tugging the star around as it moved through space. But despite their best efforts, astronomers elsewhere could find no evidence of van de Kamp's worlds. Where his observations showed a wobbling star, theirs showed no such wobble – just a linear motion through space. What was going on? van de Kamp's observations were made using a large refracting telescope, and astronomers eventually realised that the telescope's main objective lens had been cleaned and modified several times during the decades of his study. These changes caused the apparent position of the Barnard's Star to shift back and forth relative to the bluer background stars. The Jupiter-mass planets around Barnard's star were no more. 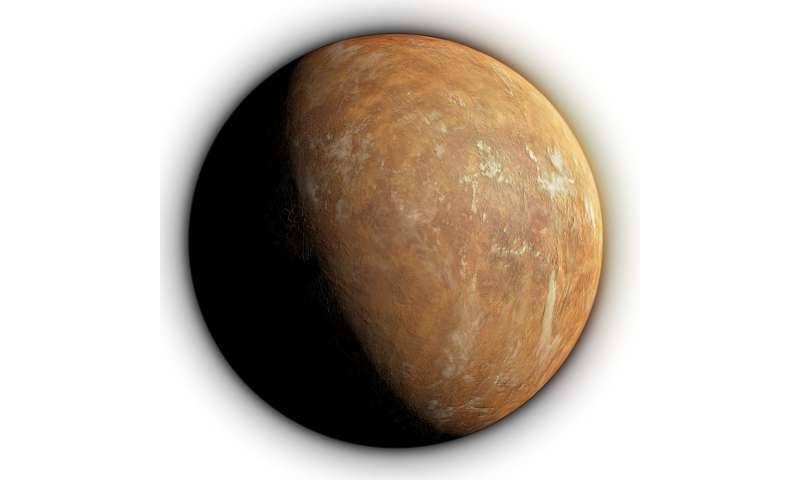 The new candidate planet, Barnard's Star b, is thought to have a mass between those of Earth and Neptune in the Solar system. While no such planet exists in our backyard, the Kepler spacecraft revealed that such planets are common in the cosmos. Barnard's Star b orbits its host at a distance of 60 million kilometres. That might suggest a warm, temperate world – but Barnard's Star is a dim object, far less luminous than the sun. As a result, Barnard's Star b lies beyond what is known as the ice line, so far from the star that water would freeze harder than rock. This means it must be a frigid world. In other words, the most massive planet in a given system should form just beyond the ice line. That is true in the Solar system (Jupiter), and also seems true for Barnard's Star – if the planet really exists. If Barnard's Star b exists, its discovery could not have come at a more opportune time. As it orbits one of the Solar system's closest neighbours, it presents a perfect target for future observations. There are a few ways the planet's existence could be verified. In the near future, the answer might come from the GAIA spacecraft, which has spent the past few years measuring the precise locations and distances of some two billion stars in the night sky. Every time GAIA observes Barnard's Star, it measures its location with a precision far greater than any previous observatory could manage. If there is a planet orbiting the star, three times the mass of Earth, the same technique espoused by van de Kamp should reveal its presence. In the coming decade, the next generation of astronomical observatory will revolutionise our ability to peer into the space close to the nearest stars, looking for the dim glow of their planets, reflecting the light of their host stars. Because Barnard's star is so close, the separation between the planet and star in the sky will be relatively large. If the planet is really there, we will likely get our first direct images confirming its existence within the next ten years. Beyond that? Who knows. One thing we have learned through the exoplanet era is that, where one planet lurks, more are sure to follow. 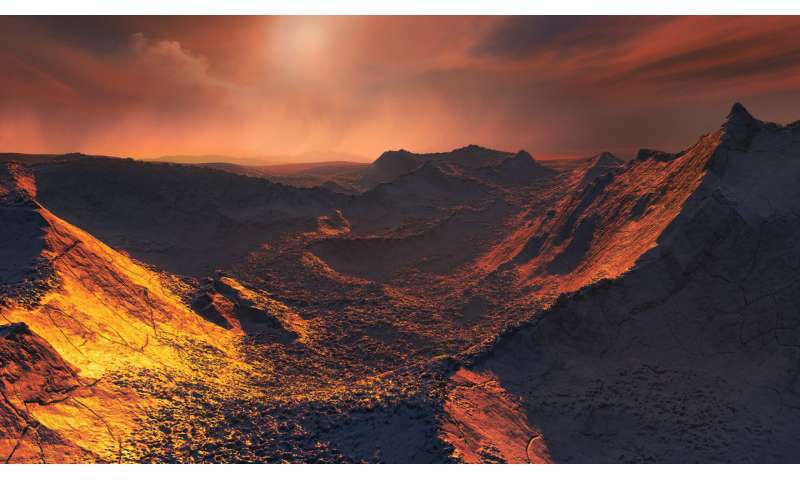 If the existence of Barnard's Star b is confirmed, it may indicate there are other, smaller worlds orbiting this ancient star. That's great. NASA should send a proble, the sooner the better given how long it will take to get there. Whooooaaahhhh! Deja vu, or what? You aren't SEU in disguise, are you? Do the maths. Sarcasm is no substitute for critical thinking. I don't know who SEU is but I'll assume a not so bright commentator? I am well aware of the time scale and the resources required. I am also well aware we have spent trillions on military adventures and bank bailouts, nevermind the rest of the bloated budget and central banking interventions. Throw a $100 billion at NASA. It won't even be noticeable in the giant pile waste. Humanity needs to be able to plan and to start projects that take longer than a human life to come to fruition. careful jax. I get downvoted all the time for suggesting thinking & planning, organizing & developing, testing & verifying. Manned space flight is a live wire! You never can predicate what will set off the fulminations. I am constantly surprised by how small YECs and other religious nutjobs think things are. This thing is about 5 light years away. Anything we could currently send would get there in about five hundred years. Oh my gosh - FIVE WHOLE LIGHT YEARS!!! Why, that would take way too long and that means that nothing should EVER be sent out in that direction EVER. Five light years is a long, long way. Makes going to Pluto look like a stroll in the park. Like most YECs you think it's just around the corner because of Star Trek. I never said that - YOU just did. You shouldn't tell lies to impress the people on physorg. Star Trek? I grew up watching Star Trek. I'll bet that YOU watched CNN and other fake news. Obviously, you are averse to any future planetary discoveries only because you won't know about it once you're dead. But others will travel to those planets. Too bad for you. I'm not a YEC. I have no idea where and why you have arrived at such a silly conclusion. Creationists don't believe that the Earth is young. You need to revise your dumb ideas about other people. From over here in atheist land you're just another YEC. The more you troll the more like a YEC you look. If you want to talk about cosmology or astrophysics get to it. But you never do because you don't know anything about it and have too much false pride to admit it. All you've done here since you showed up is troll. Your only goal here is to disrupt. Now stop trying to pretend anything else. And BTW you yet further confirm my conclusion that YECs lie and troll for jebus, which is an abomination. If the historical Jesus ever existed, you'd be thrown out. Just another money changer in the temple. Ummm this jebus person that you keep mentioning in so many forums - how do you know of him and why do you seem so OBSESSED with this jebus person? I have no idea who your friend jebus is and what he does for a living.or why you keep mentioning him/her. Does he comment in this website too? If lying and trolling for jebus is an abomination, then why do you keep doing it?? The only other person here in physorg that believes in this jebus as you do, is your old friend, the one and only, SpookyOtto. You two should get together and take your friend jebus out to a movie or something. Then why do you lie for it? Oh DF, if you want any sense out of segue or the rest of the cult of wootrolls? You need to spell sense as "cents" and more specifically as "pfenning". There is a delta offset from a plane containing a black hole at the galactic center and the Sun is obviously in it. We have UFO data that other nearby stars host sentient life, these being Alpha Centauri, Proxima Centauri, Sirius and 61 Cygni. All these stars have a low DELTA offset from this plane (like 1.27 light years or less). Barnard's Star has a 1.42 light year offset, so it could possibly host sentient life. However, there is no collateral UFO type data as there are for the other stars. Also, unlike Proxima b which is very cold on just one side (it's tidally locked), Barnard b is pretty cold all over and hostile to forming much other that microbial life. So the odds seem a little thin that there is going to be much of interest there. other than maybe just primitive life.